Before I started using this I was having a total nightmare with my skin, it was dry & dehydrated yet I still had breakouts showing up. 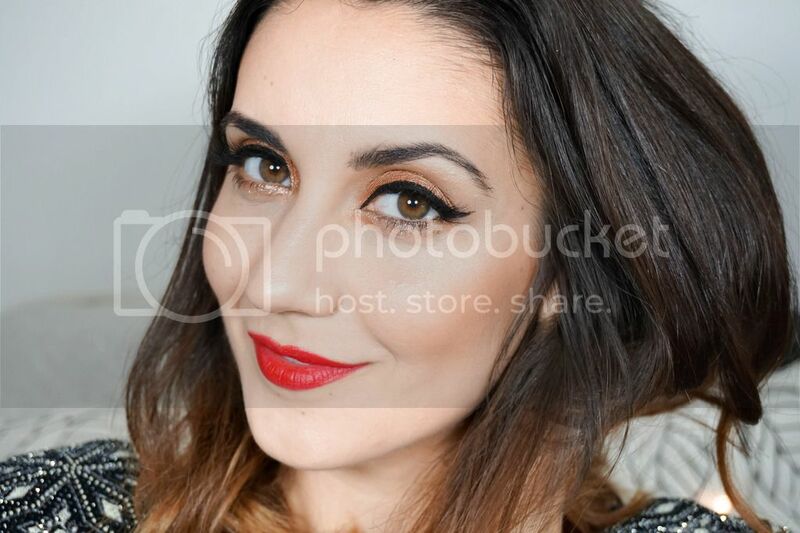 Makeup just wouldn't sit right and I was getting seriously fed up. 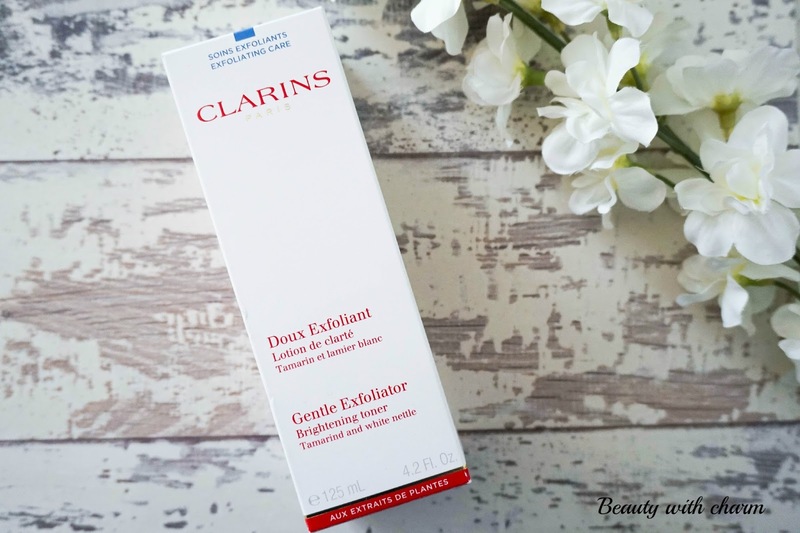 So I decided to completely switch up my skincare routine, as I started using all my favourite Vitamin E products from The Body Shop, as well as this Exfoliating Toner from Clarins. This new skincare update has made all the difference and I can luckily confirm that my skin is feeling amazing. No more dry patches, no more dehydrated skin, no more breakouts and I feel like this toner plays a big part in this fantastic change for my skin. 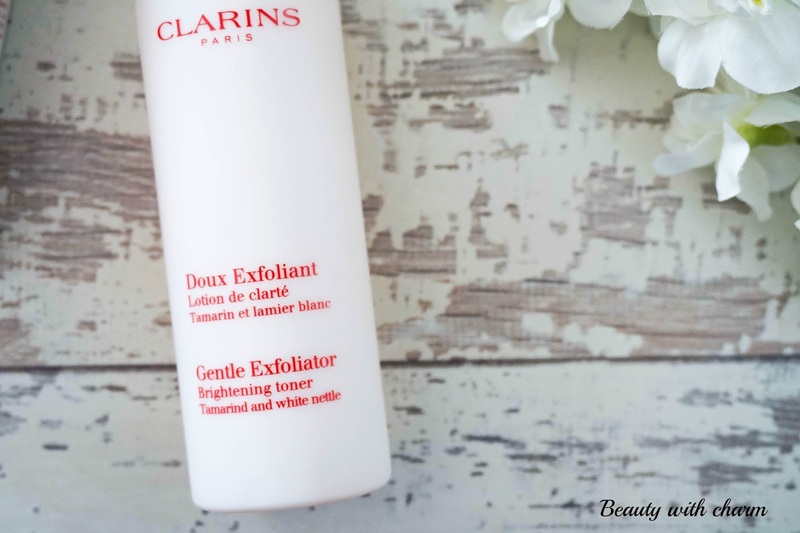 This toner is suitable for all skin types and when Clarins say it's gentle they really mean it, because I have had no reactions whilst using this so far, not even a tingly kind of effect while applying it to the skin. What I love most is that even though it's gentle it works so well and it's really effective at removing dead skin cells, whilst leaving super soft skin behind. Regular exfoliation is the best thing you can do for your skin, because it promotes cell renewal which in turn gives you beautiful, plump skin. 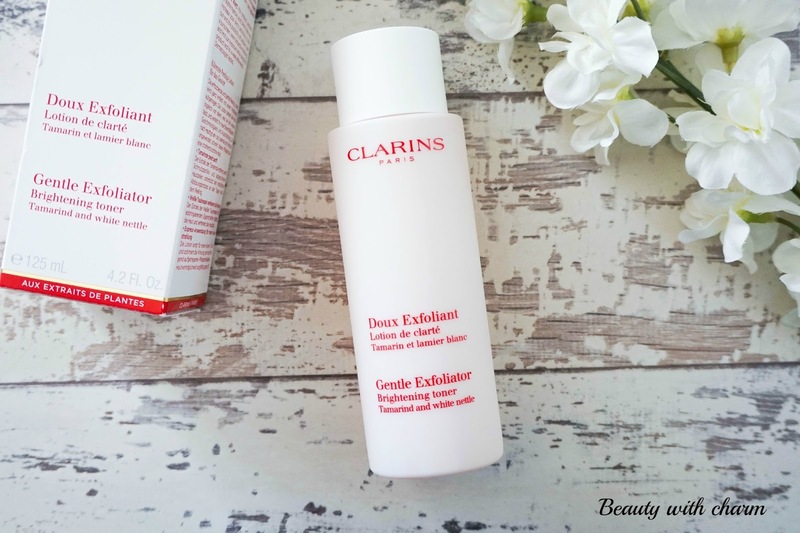 Clarins suggest using this twice a week but I use it between 4/5 times a week and I've had no problem with it at all due to the gentle formula. I love that it exfoliates without drying out my skin or stripping it of moisture. Caroline Hirons has raved about it, so I don't think I even need to say anything else considering she is the queen of skincare.